Are you pregnant or planning to start a family? You have the right to take a leave of absence at any time during your pregnancy with medical documentation or during your baby’s first years. The federal Family Medical Leave Act (FMLA) provides up to 12 weeks of unpaid, job-protected leave for the birth of a child, the care of a child up to age 1, adoption or the start of foster care. Either parent can take an unpaid child care leave under FMLA. You are eligible for FMLA if you have worked for a total of at least 12 months as of the date the leave commences (the 12 months need not be consecutive) and 1,250 hours over the previous 12 months. Your health benefits will continue during an FMLA leave. The Department of Education must take you back after the 12 weeks. If you have used up your 12 weeks of health benefits under FMLA and want to stay home with the baby beyond the recuperation period — and you are not otherwise ill — you must apply for an extension of your unpaid child care leave (without health benefits). If you are a regularly appointed female staff member, you are also entitled to a paid leave of absence (using the days in your sick bank, called Cumulative Absence Reserve, or CAR) or unpaid leave (if you have no sick time). This maternity leave of absence will run concurrently with your FMLA leave for the first 12 weeks. A maternity leave of absence can begin in your ninth month — or earlier, with medical documentation (maternity disability leave) — and continues during your recuperation period, which is six weeks after your baby’s birth in a routine pregnancy and eight weeks with a C-section with medical documentation. If you choose to extend your leave of absence beyond 12 weeks, you can apply for a contractual child care leave. The DOE, however, is under no obligation to approve taking you back in the middle of a term. Either parent can apply for a contractual child care leave, though you and your spouse cannot take a child care leave at the same time if you are both DOE employees. This unpaid leave, which does not include health benefits, begins after the six- or eight-week recuperation period and can last for up to four years — through the first day of the school year following your child’s fourth birthday. 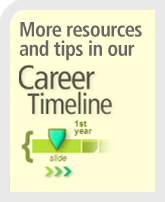 You must apply for your maternity/child care leave of absence on the DOE’s online SOLAS system. During a maternity leave, you must use any days in your sick bank.To extend your paid leave, pedagogues can also borrow up to 20 sick days; paraprofessionals can borrow up to 10 sick days. Pedagogues also are entitled to a “calendar month” grace period, which pays you for all weekends and holidays for the calendar month following the exhaustion of the days in your sick bank and/or your borrowed days. The advantage of borrowing days and using the grace period is that since you remain on payroll, those days count toward your pension, seniority and pro-rata summer vacation pay, and it also keeps your health benefits intact. Members may also be entitled to four months of Special Leave of Absence Coverage (SLOAC) for personal illness or pregnancy-related leave. 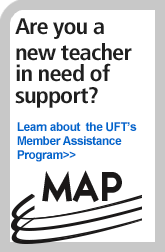 Additionally, you may be eligible for an additional eight months of coverage through the UFT Welfare Fund. Please be aware that to be eligible for SLOAC, you must exhaust your CAR days, end your borrowed days (if you choose to borrow) and grace period at least one day before the baby turns 6 weeks old (in a routine pregnancy) or 8 weeks old (with a documented C-section). Your payroll secretary can tell you how many days you have in your sick bank. You must apply for your leave of absence on the DOE’s online SOLAS system. If you are disabled as the result of pregnancy or other illness, you can apply for a Restoration of Health Leave. Once you exhaust your CAR balance, this extended unpaid leave, which requires medical documentation, may provide you with up to a year of health benefits. A UFT Welfare Fund child care benefit may extend your supplemental health benefits for up to six months following the birth or adoption of a child. This benefit begins upon termination of your supplemental health benefits covered under your leave. You need to apply for this benefit by completing the UFT Welfare Fund Child Care Coverage Request Form and submitting it, along with a copy of your child care leave, to the Welfare Fund. Be aware that before submitting the Child Care Coverage Request Form, you need to submit a UFT Welfare Fund Change of Status form to add your child.